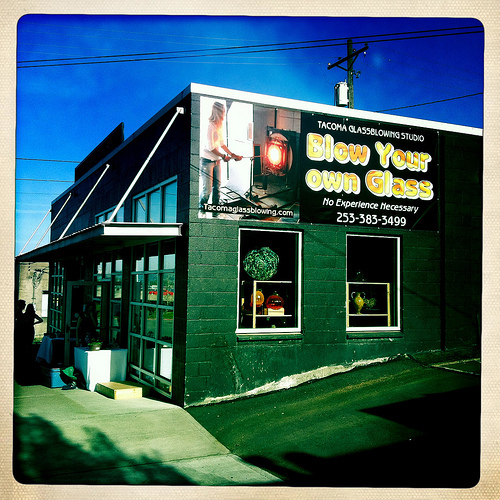 The Tacoma Glassblowing Studio at 114 South 23rd Street in Tacoma offers glass art that is lovely and unique. We got there almost at closing and were told that there was no rush. We came for the charity bake sale to benefit orphans in Romania, but ended up with a lovely blue class ball and information on taking a glass blowing class. Dear daughter is pretty enthused about the possibility. 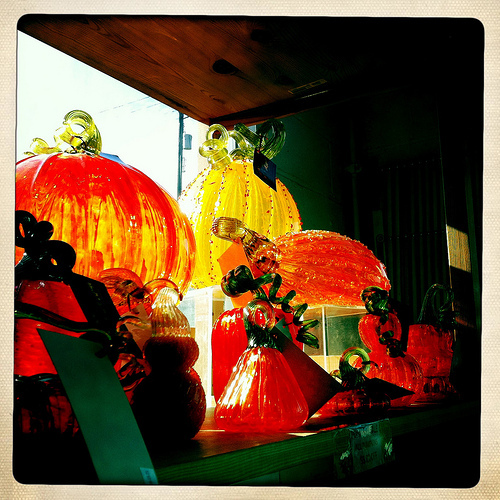 This entry was posted in Art -- there is art here!, Tacoma, Unique Shopping (stores with some personality), WA State - Pierce County and tagged art, balls, Glassblowing, orbs, pumpkins, Studio, Tacoma on April 22, 2012 by admin.